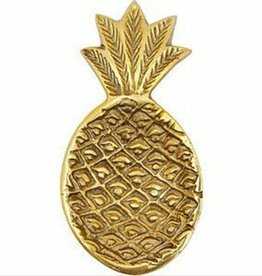 Adorable golden pineapple trinket from Liv. This small metal trinket is an item on itself and will look lovely in your house for keeping your jewelry together, presenting delicious chocolates or use it as a little soap dish. 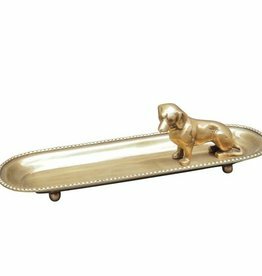 Beautiful pen tray on legs with dog. This pen tray is made of a heavy quality metal.